If you visit the Luxembourg Gardens during your stay in Paris (and you should! 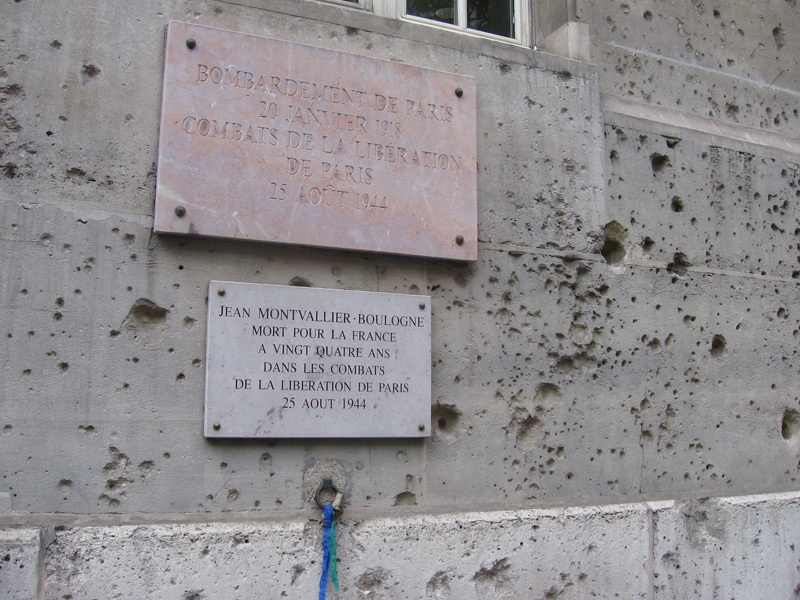 ), you may want to stroll over to the Eastern edge of the park and locate this wall at 60 Boulevard Saint-Michel, which is covered in bullet holes from both World Wars. You can see a wider view of the whole wall on Google Street View, here. 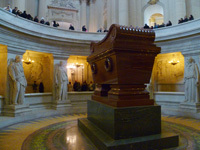 I don't have any information on Jean Montvallier-Boulogne, but a quick Google search turned up this nice blog post, which includes a photo of monsieur Montvallier-Boulogne. It's easy to wander around beautiful, peaceful Paris as a foreigner on holiday and forget that this is a city that experienced war and occupation just over 70 years ago. The people of Paris certainly haven't forgotten, and if you keep your eyes open you'll find little reminders like this all over the city. I just learned by poking around on Google Maps that this building now houses the Musée de Minéralogie — the minerology museum, which I'm putting on my list of things to visit. 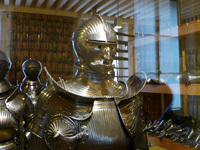 This museum is part of a technical school called Mines ParisTech; an engineering school created in 1783 that originally focused primarily on mining. You can read more about it on Wikipedia. 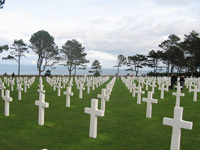 And other D-Day sites in Normandy.